Fall is fast approaching; the leaves are beginning to change colors, vacations are behind us, and our bathing suits are put away with the suntan lotion. We no longer have to worry about swimmer’s ear and sunburn and the children are back in school. So now we have nothing to worry about, right? Ah but fall brings its own worries. In early fall we can have and Indian Summer so children playing sports have to think about not getting a sunburn. They also have to remember to drink plenty of fluids so as not to dehydrate. It is important to make sure that all sports equipment is in good shape and review the rules of the sport being played. Warming up and stretching before a practice or a game is a good idea. Fall is a time of year when there is work to be done around the house. After raking those leaves, don’t leave the rake lying on the ground. Where somebody can trip, fall or be impaled. If you are doing work on your roof or putting up storm windows, replace ladders in the garage; never leave them standing against the house. Many children are riding their bicycles to school so this is a good time to review road safety. Remind children to look both ways before crossing the street and always wear a helmet. Parents, be sure that bicycles are in good working order. For those who walk to school, never accept a ride from an unauthorized person. To avoid uncertainty regarding who is a stranger, arrange a pass word to be used if Mom or Dad are not picking up your child. Never go with anyone who does not give the correct password. For those students who will be driving to school for the first time, remind them of the rules of the road, and the importance of defensive driving. Of course, seat belts should be worn by all passengers in the car. Back to school can be a trying time for some. The little ones might experience some separation anxiety at first. Give an extra hug and reassure you will see him/her after school. Many middle schoolers will be coming home with more homework than they did in grammar school. Help them organize their time and work with them on study skills. High schoolers have their own issues. Some mid-adolescents are starting to feel their oats. Their friends become their primary company; they are all knowing and you parents know nothing. Give your adolescent some space but be present and involved in their lives. Give yourself permission to question where they are going, with whom they are going and tell them when to be home. They won’t admit it even to themselves but they both need and want limits. Be supportive, offer advice but don’t force it and always remember your child has friends; you be his/her parent. For senior high school students, this is a very anxiety producing time of life. The future is so uncertain. Your student is wrestling with where he/she will be going to college, will he/she make varsity this year, will he/she have a date for prom? Don’t ask too many questions but be available. The family dinner table can present a perfect opportunity for sharing. Toddlers and not napping are three words that never go well together. And yet, right around the ripe old age of two, many children start to put up quite the fight when it comes to naptime. Does this mean they don’t need a nap? Should I make my child take a nap? Help, my toddler doesn’t nap anymore! These are questions and pleas I hear all the time from mothers in desperate need of that one to two hour window of reprieve. Sleep is important for all of us, this much we know. But, how exactly do we make a toddler take a nap? As you and I both know, we really can’t make a two year old do anything. The art comes in the form of gentle coercion and setting the magical scene that will translate into a solid and predictable nap-time. Sounds simple right? Believe me; I know this can be quite the struggle. My son gave up his naps right before he turned three. This seemed way too early for me, especially since I had a newborn on my hands and rest at that point was not just a luxury, it was a necessity. Unfortunately, his naps never magically reappeared. I cursed the nap gods but realized he was catching all the zzz’s he needed at night. how many hours is my child sleeping at night and is this enough? Children between the ages of 2 and 4 need about 11-15 hours of sleep within a 24 hour period. This is such a huge range and if you’re lucky enough to have a child that falls on the latter end of the spectrum, your child will most definitely still be taking a midday snooze. I, however, had a wonderfully active toddler who clocked 11 hours at night and apparently that’s all he needed. If I was fortunate enough to lull him into a nap, it always came at a price, namely a super late bedtime. So, I no longer enforced his naptime. He (and I) still needed some down time during the day, so I starting scheduling quiet time (for both of us). More on that later. Now that you’ve figured out how much your child regularly sleeps at nighttime, how do you know if that is enough, or if he still needs a nap? If he regularly shows you signs that he’s sleepy, such as eye rubbing, yawning, zoning out, or is easy to meltdown, then in spite of his resistance, naps should still be part of his day. Create a naptime routine that is a mini version of his bedtime ritual. Give him fair warning too. Tell him that after his snack and some coloring, it’s time for a nap. Children this age refuse naps because they can. It’s an opportunity for them to exercise some control over their world. By letting him know what to expect and prepping him with a naptime routine, he can better accept what is to come. Still won’t nap? Start instituting quiet time. Even if he’s ready to kick those naps to the curb, he would still benefit from some down time. You will too. Tell your resistant napper that he may play quietly in his room with books, cars, or puzzles. Let him know that you will set a timer and that he can come out to play after an hour. I have been doing this with my three year old daughter recently as she has started to resist naps. About half the time, she ends up dozing off and on her own terms. Quiet time is completely working in our favor. As you can see, nap scenarios vary from one child to the next. Some will stop napping at age two, while others will be on the verge of entering kindergarten and still crave a midday nap. The key is determining your child’s sleep needs and making sure she gets it within a 24 hour period. The bottom line is this: nap or no nap, children and parents need down time during the day. Whether this comes in the form of a nap or quiet time will depend on the needs of both you and your child. When did your child give up napping altogether? Did you benefit from some quiet time? I’ve got a new rule. And this is coming from a woman who grew up in Minnesota and who lives in Seattle. I’m stating clearly first: weather is no excuse. I’ve talked in many places on this blog about the reality that there are only a few “rights” to parenting. In my opinion, as a mom and pediatrician, the “rights” include things like getting your children immunized and properly using car/booster seats. Beyond that, the rest of the parenting is a smattering of “doing right,” versions that vary and resonate from person to person and child to child. The thing is, most of us do it very well, without strict rules. That is, out of love and instinct, we parent our children well. We shelter them. Protect them. Feed them. Shield them from harm. Provide opportunity. Go outside with your children every day. Move in a space that has no ceiling. 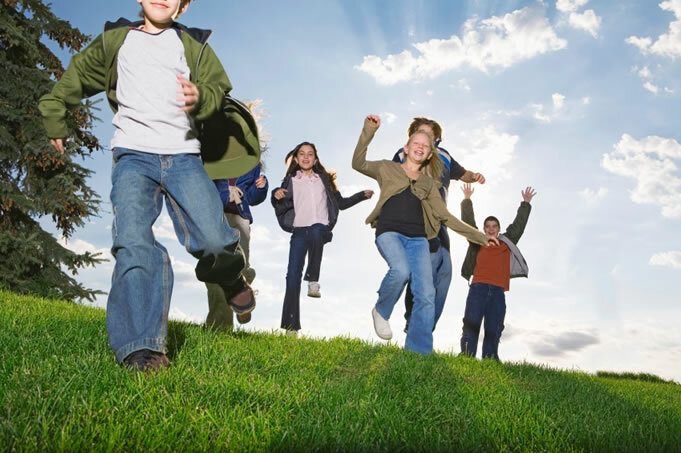 With the rising digital demand on our lives and with technology seeping into every space, getting outside remains one basic and beautiful way to stay healthy, connected, and opportunistic with your children. And better yet, it’s a great way for your children to be afforded the luxury to roam, create, and play. Not only will your children move and exercise, they’ll experience nature. Nature, as simple as the sticks on the sidewalk or the grass in the boulevard–or nature, like the spaces where you see-hear-smell-touch nothing man-made. All of it, any of it, every day. It seems to me that nature is something we’ve nearly forgotten to prioritize with our time here on earth. So don the coat, the mittens, the hat, or the sunscreen. Whenever illness doesn’t get in your way, do whatever you can to remain comfortable and protected, and then get outside each and every day with your children. Move in a space with no ceiling. I find it irresponsible that a congressional representative, or anybody with that kind of influence, would make such a claim on a national stage going only on the anecdote of a stranger. I hope that parents listening to this type of rhetoric understand that politicians are politicians, who may or may not have people’s best interests at heart. Michele Bachmann is obviously not educated enough in the science behind vaccines. But here is what I hope parents understand. 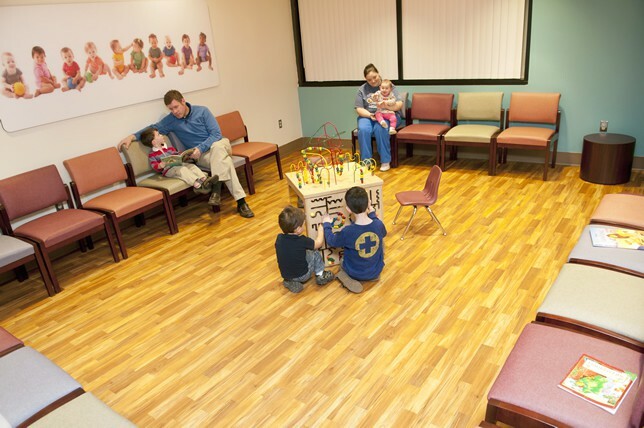 Your pediatrician does have your children’s best interest at heart. That is why pediatricians recommend that girls receive HPV vaccine around age 11 or 12. For other related stories, click on the links below.